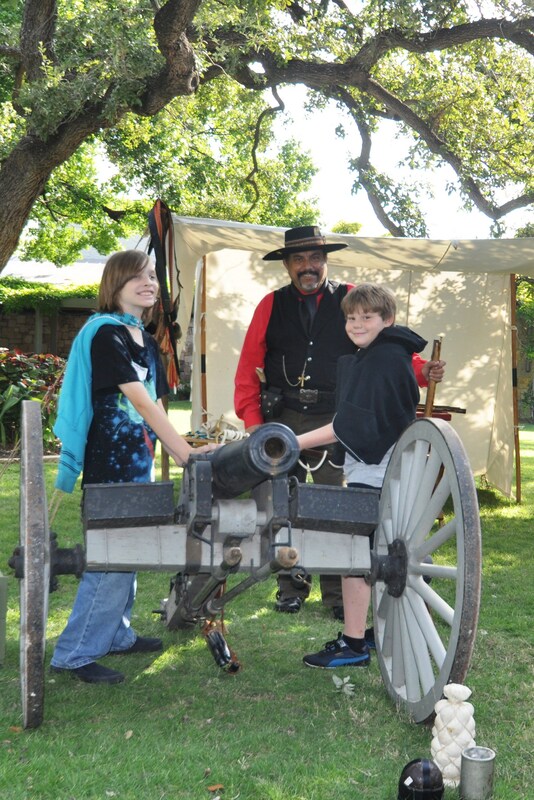 This volunteer showed us how the Mexican canon worked, and then shot the canon. Boy, was it loud! No wonder they had to rebuild most of the Alamo! Monday was Fair Day and Tuesday was a Teacher In-Service Day – so today is my first day at school this week. Because we had four days off, my family went to San Antonio over the weekend. My best friend Devin Chamley went with us, and we had a great time. You have to drive about 5 hours to get to San Antonio from Dallas, but it was worth it. San Antonio rocks! What a cool city. We went to The Alamo. My grandpa Fred Holland told us about Tapley Holland, one of the people who died at The Alamo. The stories told by a man named Louis “Moses” Rose, who left the Alamo before the battle, say that when Santa Ana put up a red flag to tell the defenders that there would be no surrender, and no prisoners taken once the battle started, the commander of the fort drew a line in the sand with his sword and said that only those who were willing to die should cross the line and stay. Mr. Rose said that as soon as the line was drawn, Tapley Holland was the first person to jump across the line saying, “Let me give my life for Texas.” There’s a portrait of it at The Alamo, but nobody knows what he really looked like because he died before anybody drew a real picture of him and they didn’t have cameras back then. He’s like my gandpa’s four or five times great uncle, I think. It’s kind of cool to be related to one of the heroes of the Alamo, but I’m glad I don’t have to be like this kid James Allen. He was only about 14 when he crossed the line with the rest of the defenders, promising to fight to the death against over 6,000 Mexican soldiers outside the walls. Colonel Travis, the commander of the Alamo, sent the teenager out as a courier on March 5, the day before the Alamo fell, and he survived. I bet it was scary trying to sneak past all those soldiers. We ate at a place called Mi Tiera that has Christmas trees up year around and hasn’t closed a single day in over 60 years, and also at County Line barbeque. It was a fun trip! Here are some other photos. The Mission San Jose is one of four Spanish mission settlements in San Antonio. It’s been rebuilt, and shows how the Spanish and Indians lived there over 300 years ago. 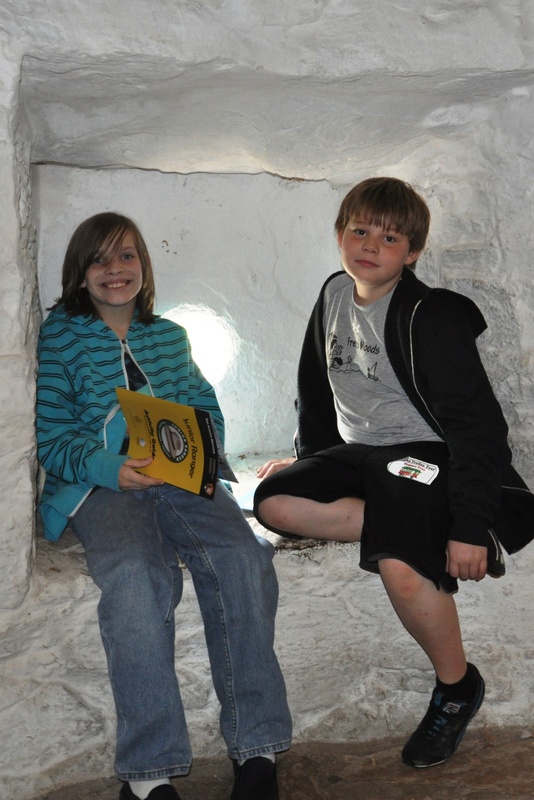 This is me and Devin in one of the guard houses. That hole behind us is for a canon. But the ranger said they never fired the canon here because the Indians were peaceful. 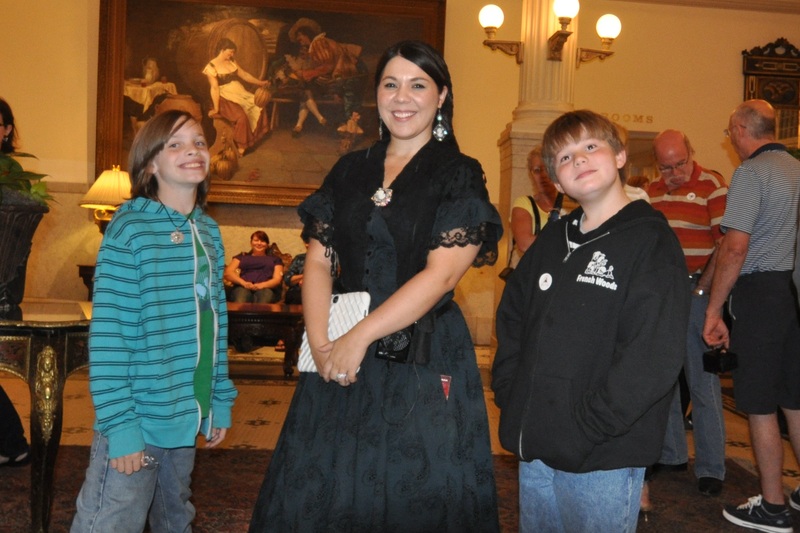 We went on The Grimm Sister’s Ghost Tour of The Menger Hotel and downtown San Antonio. This is me and Devin with Laura, our tour guide. She had photos on her iPad of stuff that people thought were ghosts, and told interesting stories of people who had seen ghosts there. I don’t know if I believe in ghosts — but this was fun. 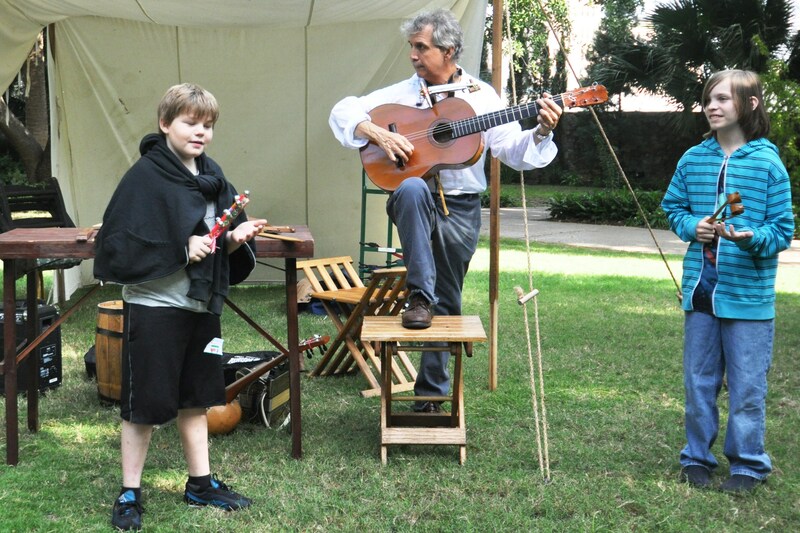 Me and Devin played old-fashioned musical instruments with a volunteer at The Alamo. 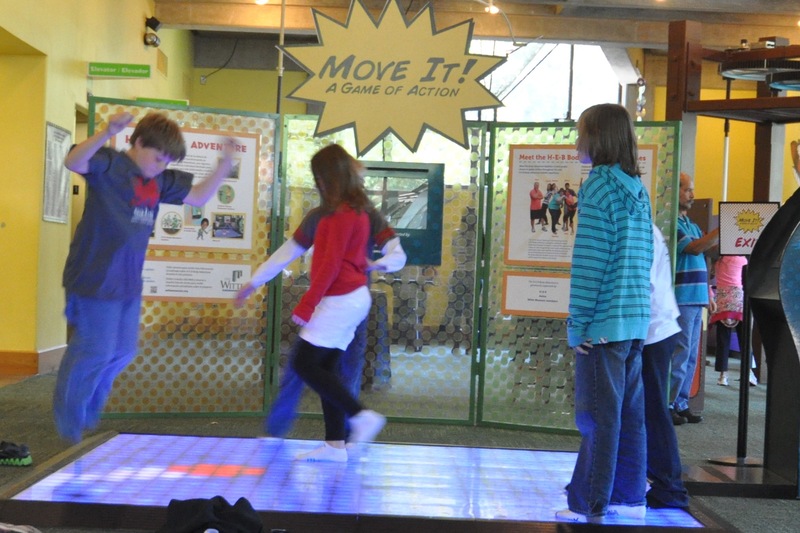 The Witte Science Museum had a lot of fun games and experiments to try. This one is called “Move It”. You have to dodge a ball of red light that moved around the floor. If your feet touch it, you’re out.